Two years without the Russian market: How did Lithuanian dairy exporters deal with Moscow's embargo? In August 2014, Russia banned a number of imports from the EU. Lithuanian dairy producers were particularly hard-hit by the embargo. Two years later, some of them have found other markets, while others are struggling to replace former revenues. Egidijus Simonis, Director General of the Lithuanian Dairy Association Pieno Centras, say that most exporters have come to grips with the new situation without the Russian market. That said, businesses can only dream about the former profits from butter and cheese exports to Russia, adds Lithuanian Confederation of Industrialists analyst Juozapas Preikša. What will drive the Lithuanian economy this year? Pieno Žvaigždės, which used to export a fifth of its produce to Russia, is faced with financial losses this year. The losses reached €1.3 million in the first quarter, which is 3.4 times more than the same period last year. In the Lithuanian market, the company sold production worth €23.5 million, its revenue from the EU market was €7.992 million and €3.256 million from non-EU countries. Is the two-year-old embargo still pressing down the Lithuanian dairy industry? Preikša notes that dairy producers have been diligently searching for new markets that could replace Russia for two years now. “To some extent, they have found replacements, but profit margins that used to be earned when exporting to Russia are becoming a thing of the past. When Lithuanian dairy produce went to Russia, profit margins would reach 20%, now dairy export margins are only 2-3%,” the industry representative says. The Director General of the Lithuanian Dairy Association Pieno Centras Egidijus Simonis also says that the loss of the Russian market has pushed Lithuanian dairy producers to actively look for new markets. “And they succeeded, because the quantities of milk purchased and processed have remained the same, sustaining milk producing farms,” he says. Much has changed over the past two years, however. Business figures from the last year have been affected by other factors besides the Russian embargo, he adds. In 2014, milk quotas were lifted, resulting in rising milk production, all the while global consumption remained the same. “As such, the prices of all products without exception dropped, the price of raw milk as well. It is a global dairy crisis which continues even now,” he points out. Latvian milk producers also agree that the crisis, caused by the Russian embargo, has been complemented by two more crises, the lifting of quotas and overproduction. 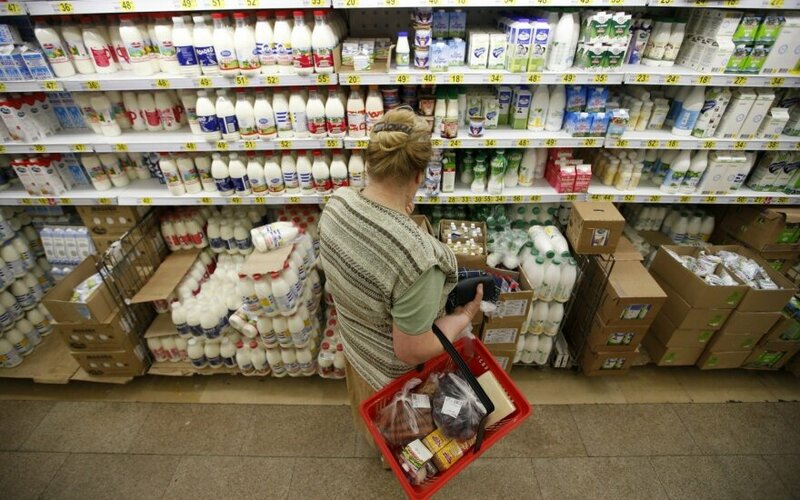 So how did Lithuanian milk producers react to the closing of the Russian market? Some companies started looking for new niches. Vilkyškių Pieninė, for example, started investing in milk powder production, something it had not done while exporting to Russia, says Preikša. Consumers have noticed more promotions in stores as dairy companies have to compete more intensively. Furthermore, Polish products are making their way into the market and they are often less expensive than local production. The entry of the low-cost supermarket chain Lidl has also brought about new variables into the equation, since the stores offer more imported dairy products in their shelves. Preikša believes that only now, two years after Russia shut its market to EU producers, is it possible to see the actual situation in the dairy industry. “So far, the problems have been dealt with internally, for example, by selling off unneeded property. For this reason, losses have been kept relatively low,“ he said. Lithuanian dairy products are likely to start appearing in stores across South America and China. That said, the profitability businesses expect will have to wait a little. “Lithuania is a net exporter of dairy products, with 60% of it exported and the rest used for domestic consumption. Because of this, businesses are reacting to the global dairy crisis almost identically,” says the Director General of Pieno Centras. Preikša believes that Lithuanian producers will attempt to raise the prices of their products eventually, while now they are in the phase of trying to establish themselves in new markets. Although there has been much talk about the entering the Chinese market, Lithuanian dairy products have not yet moved in that direction. 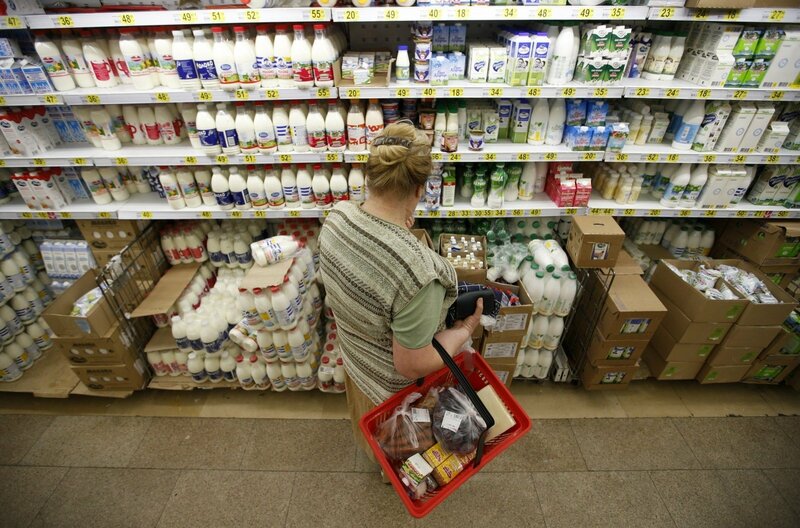 How would dairy producers react if Russia reopened its market to the EU? Analyst Preikša believes that many would actually begin trading with Russia again, if they could expect former profit margins. Lessons have been learnt, however, so exporters would be far more cautious. Meat companies had learnt the lesson about the changing fortunes in Russia earlier, so they were looking for alternative markets in the West even before the Russian embargo. As a result, it was less painful for them than for the dairy sector.